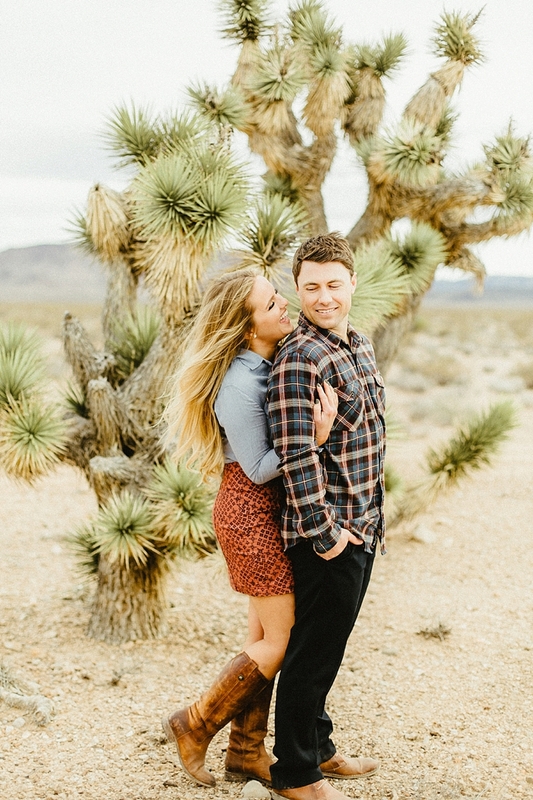 Southwestern style and desert beauty set the scene for a newlyweds' adventure in the Silver State. bout 30 miles south of Las Vegas is a small town on a mountain pass called Jean, Nevada. 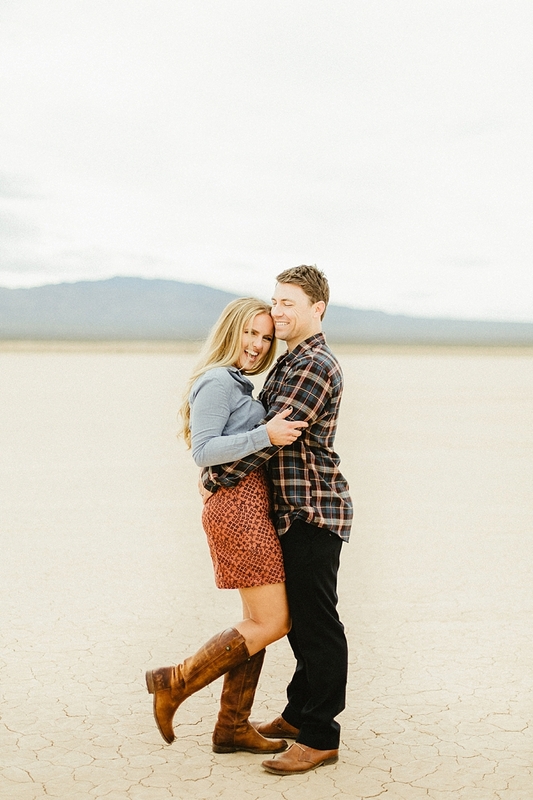 Once originally named Goodsprings Junction (a good Old West name), it has zero residents and endless desert beauty. 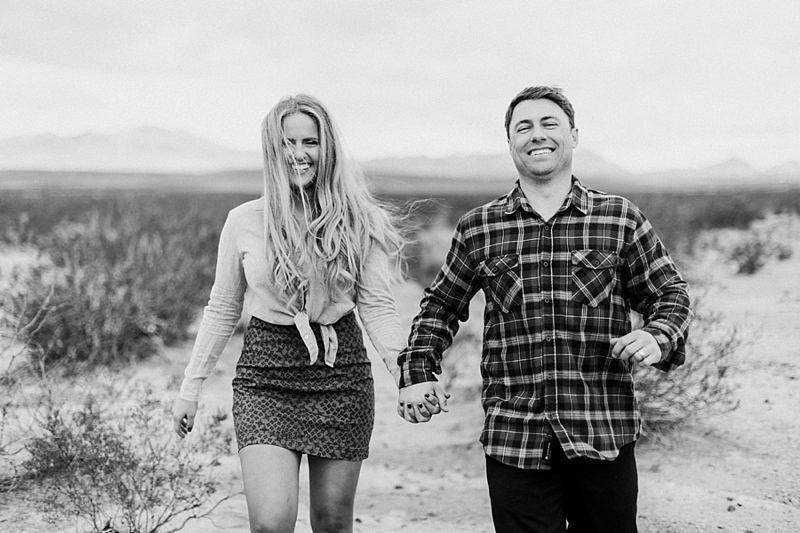 Since Kayla and Wes never had engagement photos taken and their wedding day was unfortunately a photography horror story, they wanted to celebrate their new marriage in front of Candace Nicole Photography's camera surrounded by Nevada's finest landscape. 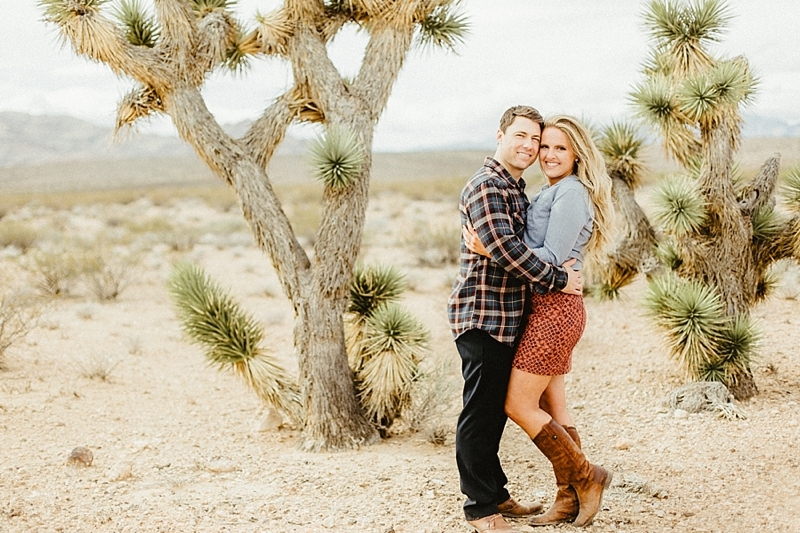 Inspired by southwestern style, Kayla wore cowgirl boots and a burnt orange skirt reminiscent of Vegas lights and bohemian textiles while Wes coordinated with a modern pioneer-like flannel shirt and dark jeans... all perfect complements to the pale hues of the dry lake bed and spiny textures of the Joshua trees and cacti. 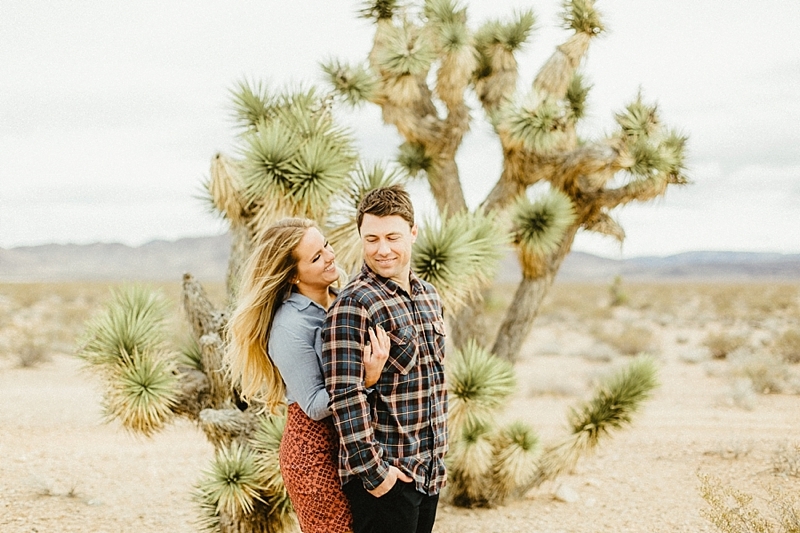 Adventure met these two newlyweds out in the desert, but their love will travel wherever they go in the years ahead.